See the Disneyland Hours for November 2019, including the Disneyland park hours to open and close. November is a nice time to visit Disneyland, with the pleasant So Cal weather and the holiday decorations for the Christmas at Disneyland season going from mid November to early January. Southern California has a Mediterranean climate, which means the weather is mild. It is frequently sunny during the day and cool at night. It gets dark earlier since daylight savings time ends on Sunday November 3 2019, so I prefer to arrive at Disneyland park early. Veterans Day holiday is Monday November 11 2019, and Thanksgiving holiday is Thursday November 28 2019, so expect some crowds during both Veterans Day weekend and the popular 4-day Thanksgiving weekend. 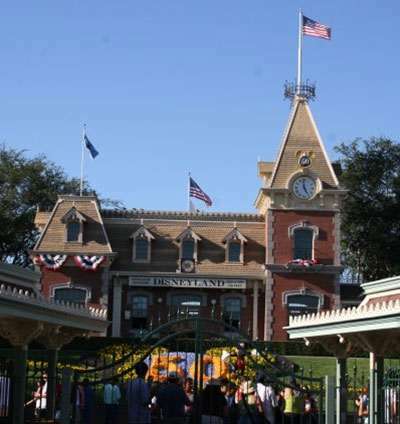 When are the Disneyland Park Hours for November? Check out the daily opening and closing hours below. If it says "tent" than means tentative hours, based upon last year. These will be updated when available. *If you have a ticket with early admission privilege, the early admission hours for Disneyland (DL) or California Adventure (CA) theme parks are one hour before regular park opening time. Enjoy that special time. Rides are limited but the lines are short. **Some Disney annual passports (annual tickets) are blocked on certain days. All annual passports are good unless listed here as blackout days. Disneyland passports with blackout dates include Signature (S), Deluxe (DL) SoCal (SC) and SoCal Select (SCS) annual passports.